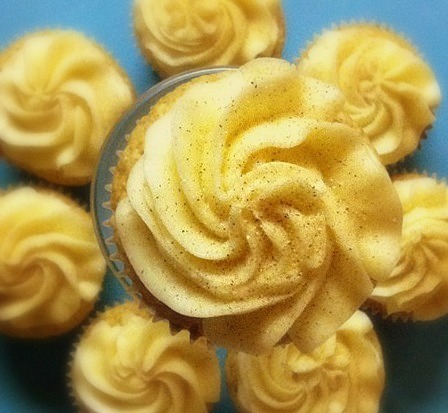 I decided that this week would be the perfect week to kick off my new weekly recipe post..."52 Weeks of Cupcakes". Cupcakes are one of my favorite things to bake. The possibilities of cake and frosting combinations are virtually endless. Making cupcakes at my old job is in fact what started me making and selling them. There are tons of cookbooks devoted to cupcakes, and recipes are being created and shared everyday. So I want in on the fun! 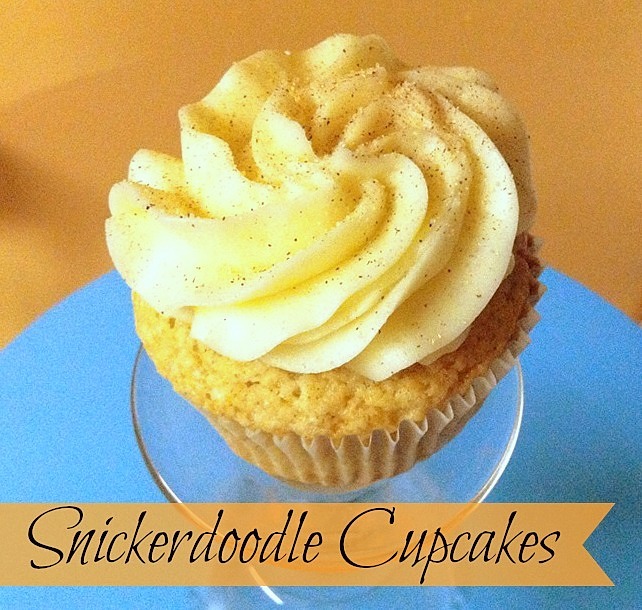 I chose to start out with one of my personal favorite cupcakes, the Snickerdoodle Cupcake. I have found whenever you make a cookie into a cupcake the batter is a lot thicker, and not as soft or moist as just a regular white or chocolate cake would be. 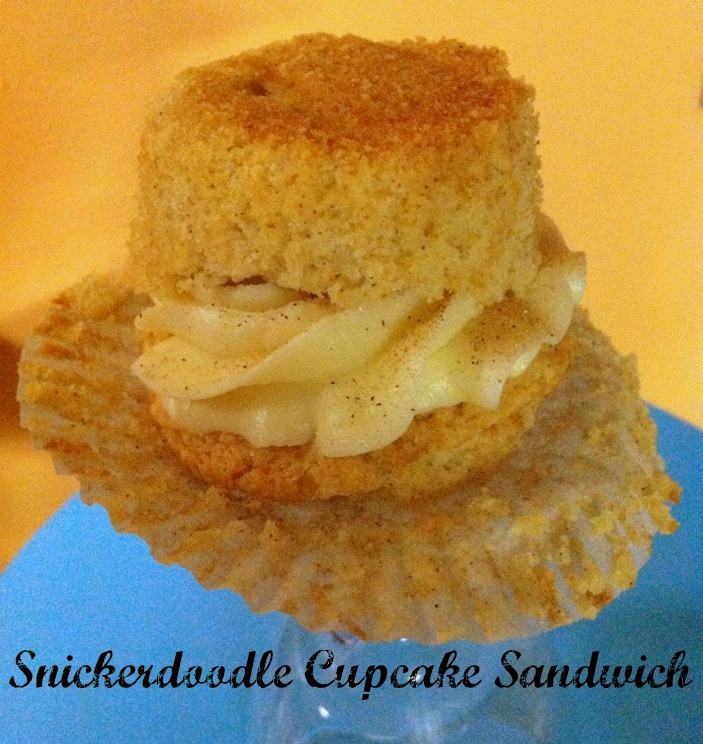 This cupcake is very dense, but the super creamy buttery frosting, with the sprinkling of cinnamon and sugar help even out the hardiness of the cake. Cream together sugar and butter; add eggs one at a time. Combine until no flour remains visible and cinnamon specks are well distributed. Using a 1/4 measuring cup, add the batter to paper-lined cupcake tins. Bake for 15-18 minutes - until edges are golden brown. Remove from oven and place cupcakes on a cooling rack. Beat in heavy cream until soft peaks forms. Add powdered sugar until desired consistency is reached. **I keep a salt shaker filled with 3 tablespoons sugar and 1 teaspoon ground cinnamon in my cupboard for a perfect ratio and it is super simple to sprinkle evenly on these.